The Show Jumping Hall of Fame recently announced the election of four new inductees – Olympic veteran and current U.S. 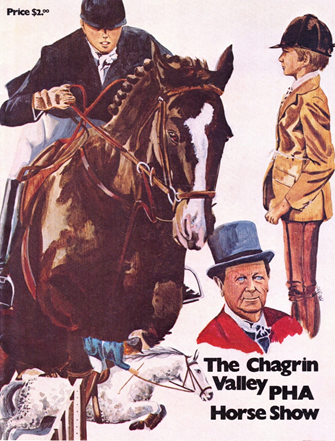 Chef d’Equipe, Robert Ridland; horse show manager and legendary announcer, Peter Doubleday; Olympic rider and coach and the first President of the U.S. Equestrian Team, Colonel John W. “Gyp” Wofford; and Bold Minstrel, the only horse in history to win medals for the U.S. at the Pan American Games in two different disciplines. The four will be honored at the Hall of Fame’s annual induction ceremony at the Devon Horse Show in May. Induction into the Show Jumping Hall of Fame is an honor bestowed annually upon select individuals whose contributions to the sport have set them apart and whose influences have had a significant impact on show jumping and the equestrian community. It is because of their talents, efforts, accomplishments, and what they have brought to the sport that the Election Committee (comprised of the nation’s top riders, trainers and officials) voted them as the class of 2018. Which new Hall of Famers have the Cleveland Grand Prix Connection? Two of these inductees are no strangers to the Cleveland Grand Prix, having visited the Chagrin Hunter Jumper Classic in the past. Peter Doubleday has been a prominent figure on the nation’s horse show circuit since 1975. As the show announcer for 30 or more horse shows a year, his voice has been heard by millions over the years including fans who have attended the Chagrin PHA Horse Show and Cleveland Grand Prix during the years it was managed by Stadium Jumping, Inc. Known as “The Voice,” in addition to announcing many of this country’s leading horse shows, Doubleday has also been an announcer on show jumping telecasts. Additionally, he has served as manager of many of the nation’s top horse shows including the Pennsylvania National Horse Show, Devon Horse Show and the National Horse Show, along with the Royal Horse Show in Canada. From Olympic rider and network broadcaster to international official, award-winning course designer, and U.S. Chef d’Equipe, Robert Ridlandhas had a career in show jumping that is virtually unparalleled. In 2013, Ridland was named the U.S. Show Jumping Chef d’Equipe/Technical Advisor, following legendary predecessors Bertalan de Némethy, Frank Chapot and George Morris. While still an undergraduate at Yale, Ridland was selected for his first Olympic team for the 1972 Games in Munich. Four years later, he helped the U.S. to a fourth-place finish at the 1976 Games in Montreal. Ridland achieved great success in the ring throughout the 1970s and ’80s. However, the Cleveland Grand Prix was not among his wins….In 1977, WBKC Radio 1560 AM of Chardon, Ohio, interviewed Robert as a preview of the Cleveland Grand Prix. The interviewer asked Robert Ridland: What do you look for in a horse, and where do you get your horses? Robert Ridland competes in Cleveland. However, the show wasn’t so good for Robert, who broke his shoulder in a crash and was taken to the Cleveland Clinic. His horses went in the Grand Prix with substitute riders—Buddy Brown rode Flying John, and Bernie Traurig rode Southside. That year, fans saw the all-time money-winning grand prix horse Idle Dice add the Cleveland Grand Prix to his long list of wins with Rodney Jenkins aboard. 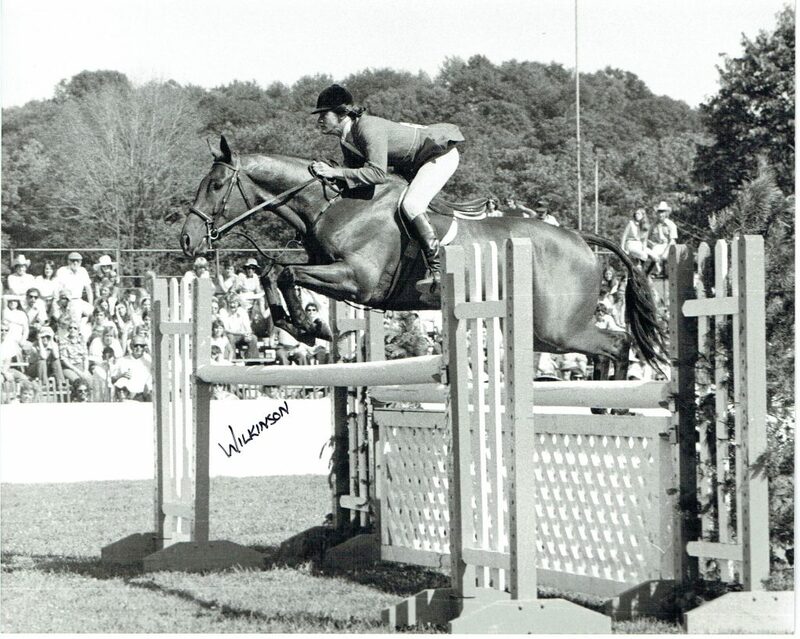 For more information about the Show Jumping Hall of Fame and full details on the inductees visit www.ShowJumpingHallofFame.net. For more information on the Cleveland Grand Prix, pick up a copy of Cleveland Grand Prix: An American Show Jumping First, and if you are in the area July 10, join us ringside after the horse show for a free book talk and history walk around the famous show grounds with author Betty Weibel. Look for more fun facts in the next EQuesting soon!